Oh food. These pictures were taken last weekend when I was at my Grandma’s for my Grandpa’s Funeral. It certainly wasn’t the most stellar display of awesome food choices. But. Life goes on. Breakfast: Before I arrived my Uncle asked if there was anything at the store he could pick up for me to eat. I requested gluten free bread and hummus – figuring I could make a meal out of it about any time of the day. 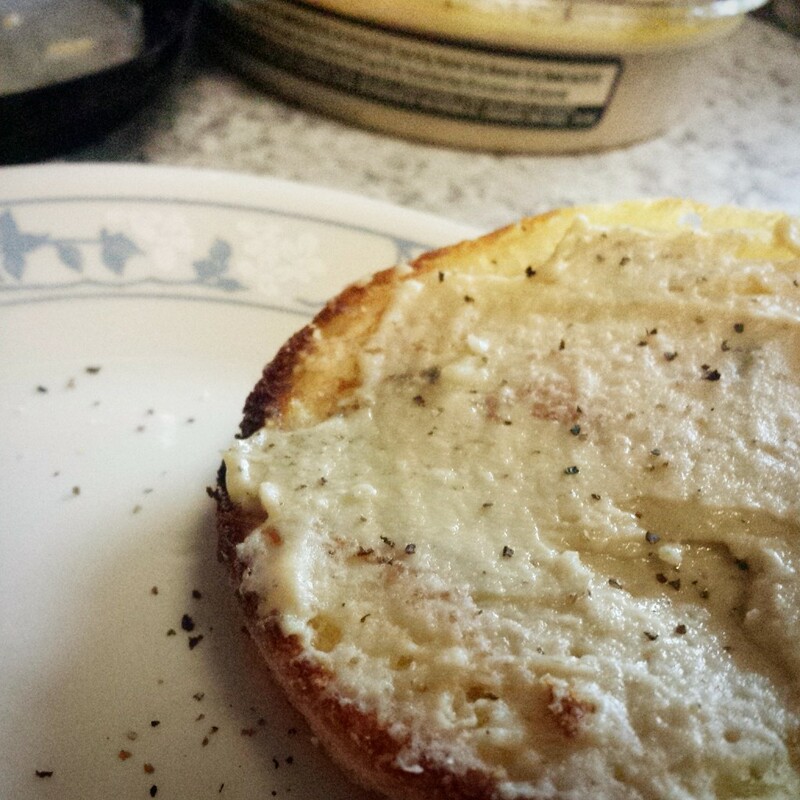 He obliged – with gluten free English muffins and hummus – which I delightfully enjoyed each morning of my trip. Lunch: Was veggie fajitas at the local Mexican joint. They were either delicious, or I was starving. Afternoon snack: (I’ll spare you the pictures of the 100 thousand pounds of candy and sweet I consumed during the day). I made a MAJOR packing failure. 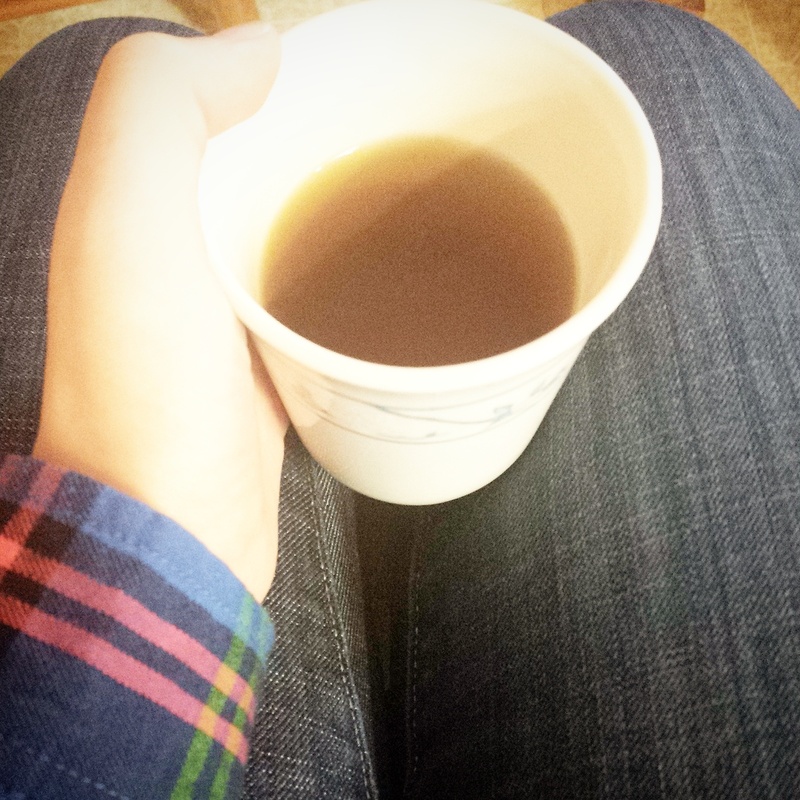 I didn’t pack any tea. For real?! I picked up some peppermint tea when we returned the rental car in the next town over and sipped it every day I was there because 1 – it was freezing and 2 – my stomach was hating the sugar + junk food binge. Dinner: My Grandma owns a fried catfish restaurant. 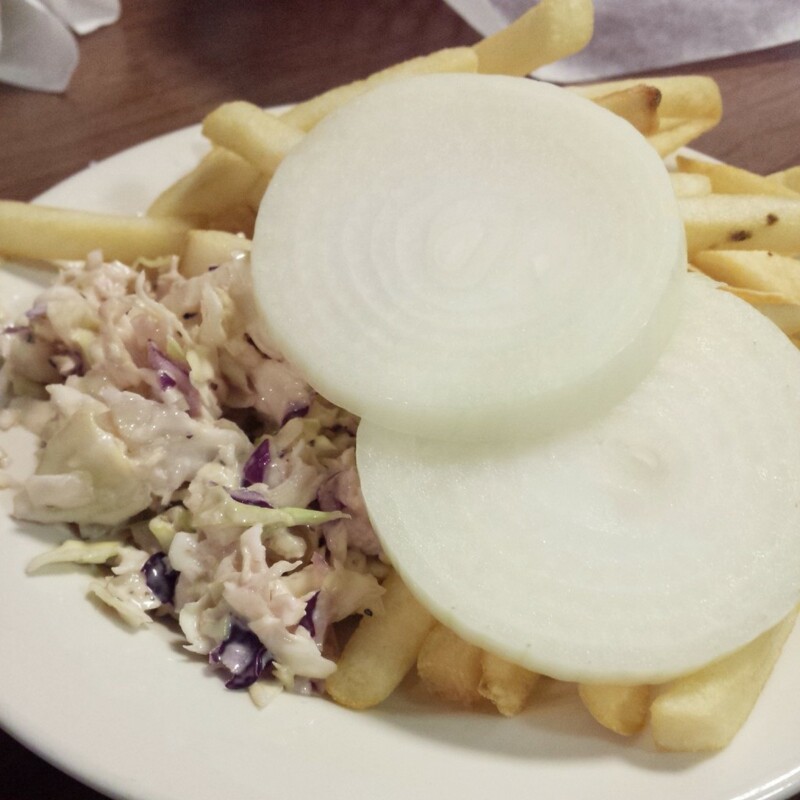 This is my typical meal there – french fries, homemade slaw, and sweet onions. Yeah. My mouth is watering as a type. In love. Afterwards? Candy. Lots of Candy. Okay. Yeah. I wasn’t the best food-traveler this trip. I can usually really rock the packing-my-own-food thing. This trip was so unexpected (learned Tuesday night we’d be leaving Wednesday morning) that I just went with it. Yep. See you tomorrow for some random thoughts on Thinking Out Loud Thursday! The bread and Hummus looks tasty! I have not had toast with hummus but that sounds really good! I might have to try it.